Empty Drawers are a Good Thing! Do you have any empty drawers in your home? I think empty drawers are a good thing. They’re a good problem to have. Why is it that we tend to fill every space in our home? I’d like to challenge you to create at least ONE empty drawer this week. 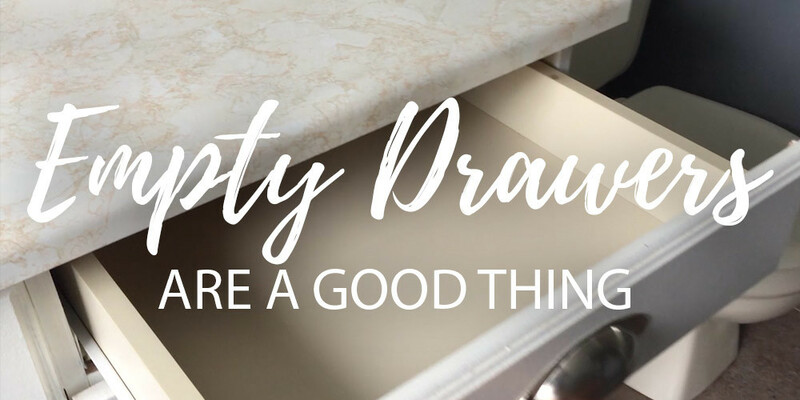 Leave a comment below to share how it went and what drawer(s) you ended up emptying. Looking forward to hear how it goes!